Arranging a car rental Ireland service is simple here at carhirecomparison.ie. Enter your dates and pick from many great locations such as Dublin, Cork, Galway, Derry, Shannon or Belfast to mention just a few. 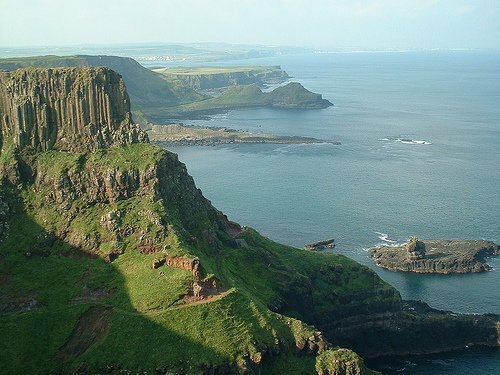 Visitors return to Ireland year after year, enchanted by coastal villages, rolling hills and vibrant city life. Compare our low cost car hire Ireland rates today. Price comparison websites such as ours allow you to find the cheapest deals in just seconds. Our Dublin Airport car hire deals are sourced from the countries top suppliers which means you the customer are guaranteed a great deal. Whatever part of Ireland you are arriving into, you are unlikely to be too far away from a car hire pickup point. 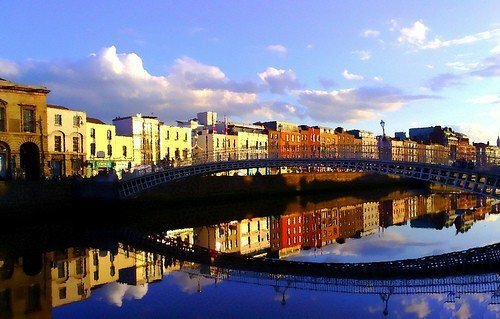 Dublin is an extremely popular city, particularly popular for weekend breaks. When most people hear the word Ireland, they think of three things: Guinness, leprechauns, and castles. As Guinness is available everywhere, and leprechauns are really difficult to find, some time should be provided to exploring Ireland’s many castles. They decorate the landscape, and every area features them, catering for your medieval needs. We all know about the famous Blarney Castle however Ireland has much more to provide. In Clareen you will find Leap Castle. This chilling location is rumored to be the most haunted castle in all of Ireland. The cause of this is that many have died in the castle by murder or execution. Galway city is much smaller than Dublin, but just as lively as the capital. It’s the perfect location that mixes history and traditional Irish culture with modern life. A city filled with creativity, Galway brings in many visitors a year to experience the Arts Festival and the Galway Races. With a lively fine art and music scene, Galway attracts a massive number of holidaymakers every summer. Kerry in the south of Ireland is another popular holiday destination while Knock in the west of Ireland is a big draw for religious tours. The Shannon region is another must visit. You can search for car hire at Shannon Airport right here at carhirecomparison.ie or perhaps you need a cheap Galway car hire deal? While you are visiting the west coast of Ireland, why not consider a yoga retreat at the award winning Burren Yoga and Meditation Centre which includes daily guided outings to special places in this magical part of Ireland. You can find more information at the Burren Yoga Retreat Holiday website. Did you realize that there are more than fifty golf courses within thirty kilometers of Dublin? and that’s merely a small portion within the country. Some of the world’s most beautiful golf courses can be found in Ireland. With courses set up on coastal cliffs, forests, and sloping hills, golfers of all skills will be stunned by the beauty of the area. Should you need to hire a car in Ireland then choose a people carrier or minivan to make sure you’ve enough space for your golf clubs. Cork city founded by St. Finbar over one thousand years ago has so much to provide the discerning traveler. It is a haven of spectacular architecture. You should definitely visit the Town Hall, St. Finbar’s Cathedral, Cork G.P.O. and also the Crawford Fine Art Gallery. From an arts and culture point of view, you are completely spoilt for choice in Cork with a wealth of galleries, museums, dance theaters, artists workshops and also the National Sculpture Factory to visit. Arrange car rental in Cork with a quick quote. We offer some the cheapest prices around. The Ulster Museum has remnants of the Armada shipwreck, early Ireland and many Irish antiquities. There is a collection of about twenty thousand volumes in the Linen Hall Library. The Crown Liquor Saloon is among the most well-liked pubs in Belfast. Nearby Derry is another popular city location.